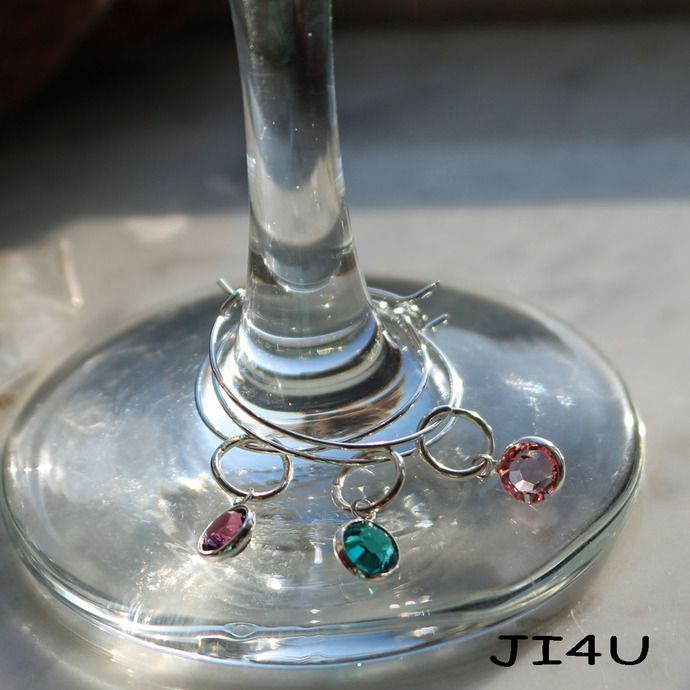 Crystal Wine Charm, perfect bar accessory for your dining pleasure and entertainment. Featuring green, pink and purple Swarovski crystals. 9.25 Sterling Silver Wine Charm, for Wine glasses. Wine Accessory. 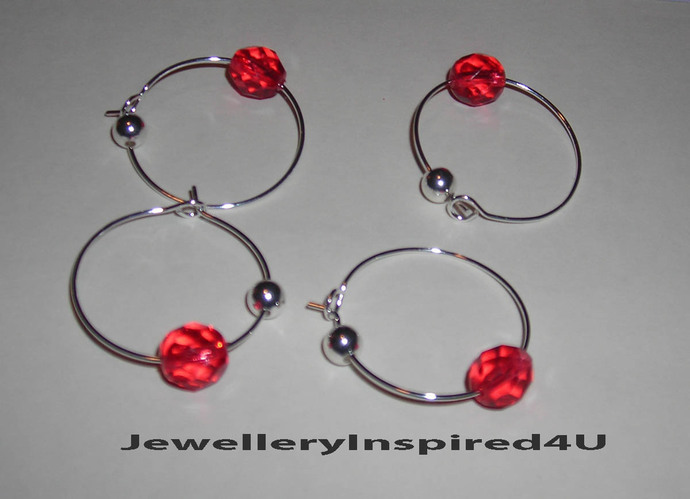 Dazzle and delight your friends and family on any occasion with these festive red crystal and silver beaded wine charms. Grace your kitchen table with these beauties. Men's Gift. Gifts for her. Also available is the red crystal bicone set.. Suitable for Wedding favors or gifts for any occasion. 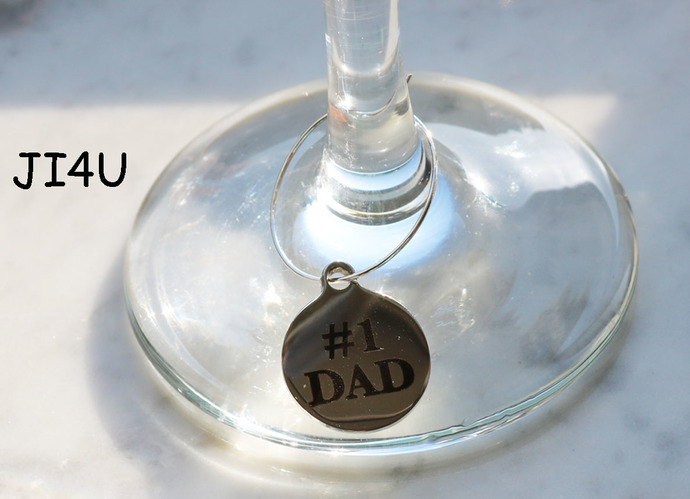 Dad can call it his own with #1 Dad charm too! Right for the Barbee Q. Add a sparkle to your dining pleasure and toast the New Year in. The red is a warm which will compliment any wine you serve. This is perfect for your guests so they know which glass is there's, leaving the guessing aside. These simply 'hook' around your wine glass and open easily and close. These are silver plated and I select the crystals and beaded design are made with care and attention. Care: These should not be placed in the dish washer, but rinsed and dried with a soft cloth. Made from a silver-plated alloy which is lead free. This is a brand new line and other variations will be available in the near future. All items are carefully presented in a jewellery box and packaged in a bubble mailer. Tracking is available at an additional cost for Canada and the United States, please convo me (an email is required you will be notified about delivery). Thank you! Any questions just convo me.....I check messages daily.